Custom Polymers PET, LLC announced that it has expanded its PET operations in Athens, AL. Processing post-consumer and post-industrial PET by grinding, washing and pelletizing the plastic so it can be recycled back into a variety of applications including FDA-qualified food grade products. Custom Polymers PET, LLC announced that it has expanded its PET operations in Athens, AL, adding 70 million pounds of clean post-consumer PET flake to their existing product line. The Company has made a substantial investment in new processing equipment and a new 50,000 square foot building. In total, Custom Polymers PET, LLC now occupies 250,000 square feet with additional land available for further expansion. Additionally, Custom Polymers PET, LLC has added a rail spur to its location in order to provide customers throughout the country with another method of receiving finished products – rail cars. Custom Polymers PET, LLC processes post-consumer and post-industrial PET by grinding, washing and pelletizing the plastic so it can be recycled back into a variety of applications including FDA-qualified food grade products. This new investment further confirms Custom Polymers PET’s leadership position in the sustainability of PET and PET recycled products. Custom Polymers PET, LLC is an affiliate company of Custom Polymers, Inc. headquartered in Charlotte, NC with additional offices and production facilities in Houston, TX, Chicago, IL, Durham, NC, Toluca, Mexico, and Hong Kong. 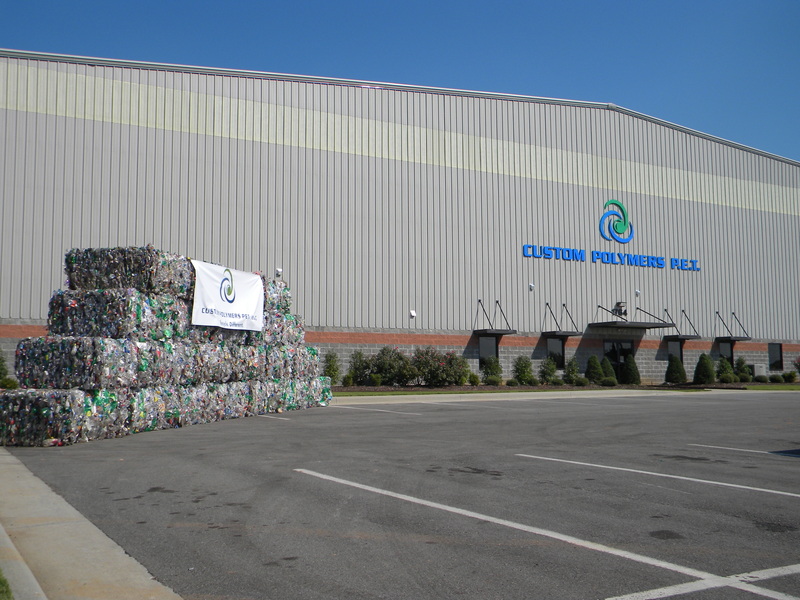 Custom Polymers’ primary business is plastic recycling and is the 8th largest plastic recycler in North America.